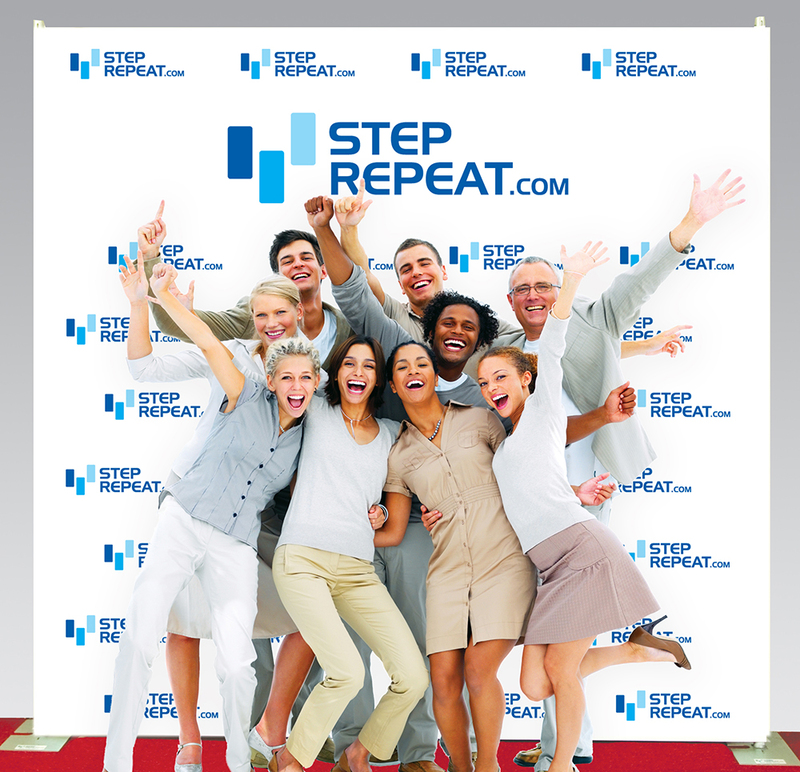 What makes steprepeat.com different than other Step and Repeat companies? With over 20 years experience in prepress and digital imaging services, New Vision Imaging is the parent company of this specialty division. Our state-of-the-art equipment and pre-press industry expertise means that we identify and resolve potential problems before production, saving you time and money and achieving the best possible results. All of our work from production, to custom sizing and prep work for installation, is done in-house, which affords us total control of all phases of production. 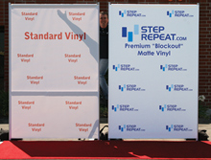 How will my Step and Repeat be packaged? We take great pride in our final product. This is why we roll every banner on a piece of PVC pipe and wrap it in plastic to make sure that it will arrive smooth and free of creases. Then we ship it in a custom made box. We will never fold a banner. This causes fold marks that will never come out. What file types can I supply? Raster Images - Raster graphics are resolution dependent. They are composed of pixels and cannot be scaled to an arbitrary resolution without loss of apparent quality. Vector Files - A vector files is resolution independent. It can be scaled to any size without any loss in quality. How can my order get done in 24 hours when other companies can take over a week? By operating 2 shifts, most orders approved by 3:00PM are run that night then finished and packaged in the following morning. 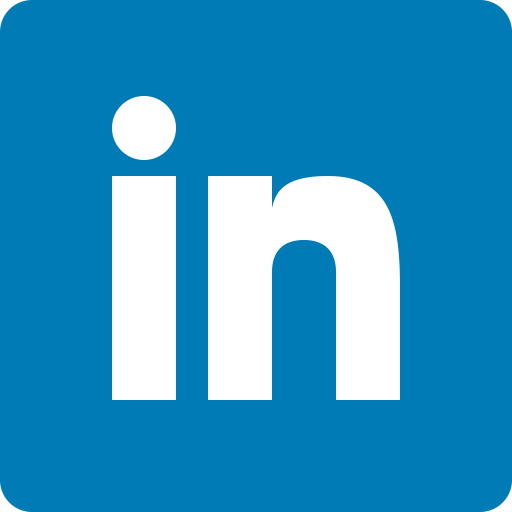 How do you keep your pricing competitive? Because we own our own equipment and don’t deal with middle manufacturers for any phase of production, we are able to keep tight control on our costs, passing the savings on to our customers. Boards are printed on a satin vinyl and mounted to 1/2-inch sturdy ultra board. Banners are printed on a high quality, smooth 15 oz banner material and can be sewn, hemmed and have grommets applied. 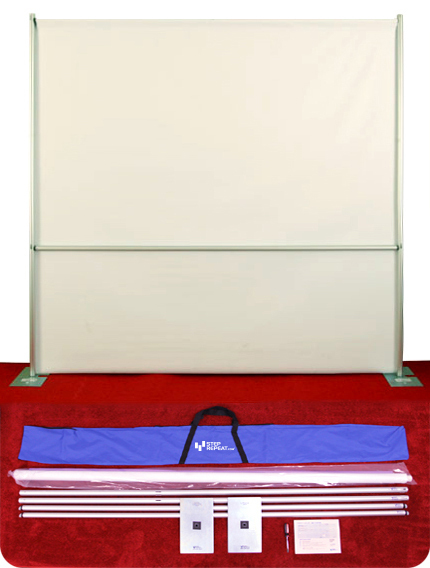 Both can be sized to your specifications, although 4’ x 8’ is standard sizing. Not only are our inks the highest quality, longest lasting available on the market. Depending on weather conditions, you can expect an outdoor sign to last 1-3 years, and an indoor sign to last indefinitely. We accept Visa, Mastercard, American Express and Discover. Because every order is custom, all orders must be paid before we start production. Can you help me with hanging or displaying my banner or board? We provide a variety of hardware to display your finished product. From lightweight portable stands to professional pipe and base systems. When can I expect to receive my finished product? Jobs approved and paid for by 3:00 P.M. PST (6:00 P.M. EST) will ship the following day.